BEHAVIORAL HEALTH SECURITY RISK ASSESSMENT – Protection Management, LLC. Have you performed an assessment of your behavioral health security measures in your mental health unit, or your processes for the handling of mental health patients in your emergency department (E.D.)? Are you following best practices? With the decreased number of licensed mental health treatment facilities across the United States comes the fact that hospitals are often the first stop for many patients with mental health issues, and as a result hospitals must consider their behavioral health security measures. When law enforcement officials encounter someone in their jurisdiction that is a danger to themselves or others, they will take custody of that person and transport them to a medical center in most cases for evaluation. According to the Emergency Medical Treatment & Labor Act (EMTALA), once a patient presents at a hospital they must be treated and cannot be turned away. That being the case, even those hospitals that are not mental health treatment centers will conduct a medical assessment on the patient and locate a facility that can take the patient for treatment. When you are talking about locating a properly designated treatment facility for mental health patients, you have to keep in mind that in some cities and states this may require numerous phone calls and hours of delay, if not days, in getting treatment for the patient. That being the case, there are several security concerns that need to be taken into consideration for the behavioral health patient, as well as the hospital staff and other patients and visitors. 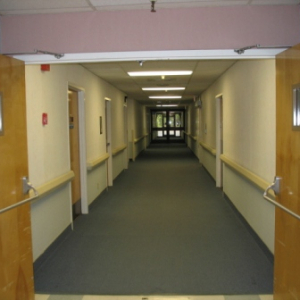 Depending on where you place at risk patients while they await transfer to an inpatient bed, or another facility, a healthcare organization needs to conduct a risk assessment in the patient care areas looking for things such as hazards that could be used by a patient to harm themselves. There are numerous guidelines and best practices when it comes to identifying and reducing such risks, yet many hospitals have never taken the proper steps to review their facilities. There is a high risk factor for patient elopements from the E.D. for those patients that have been deemed a danger to themselves or others. These types of patients have eloped from emergency departments across the country and in some cases they have committed serious offenses such as murder after they eloped, or they have intentionally harmed themselves or been accidentally killed when fleeing. In other cases at risk patients that have eloped from the E.D. have been pursued by untrained hospital security or law enforcement and have been injured when they were apprehended. That being the case, what is your organization’s plan to address elopements of at risk patients, and what training do you provide your staff? The potential for violence within an emergency department (E.D.) is often elevated. In fact, many healthcare workers have been seriously injured while working in the emergency department, more so than other areas of hospital. With the increased risks for violence security has to be a top priority for the E.D. and in many cases the staffing of at least one security officer in that department should be a priority. The training required for staff working in the E.D. should be comprehensive and ongoing. In some states it is required by law, and accreditation agencies may also require it as a standard. Staff that works in the emergency department must be trained in managing aggressive behavior. Hospitals also need to consider that staff’s behavior, voice tone and volume, may increase the risks of patients acting out. Another important factor is that places such as the emergency room can be very stimulating for people that do not work in it, and even the most rational person may get over stimulated while waiting to be seen in the E.D. When you take into consideration that a patient or family member may already be under a great deal of stress before they walk in the doors, adding in all the sights and sounds of the department can further aggravate their stress levels and may lead them to act out inappropriately. Staff needs to be trained to identify such elevations in stress and emotions as well as how to respond at the earliest possible opportunity. The job of watching a mental health hold patient in the E.D. can be assigned to a number of different employees. For example, in many healthcare organizations they will have behavioral health specialist performing this duty. In others we have seen CNAs, department secretaries and clerical staff watch patients. One of the common groups of employees tasked with patient watches is security officers, even though there can be a very limited number of security officers working and they have many responsibilities with their job. The thing to remember is that it does not have to be a security officer in most cases. Regardless of who is assigned to watch at risk patients, those that are assigned patient watches must be properly trained and qualified to perform such duties. Hospitals have been fined for not properly training staff on how to perform patient watches. If you have an internal security department they should be competent and capable of managing the security operations in your E.D. 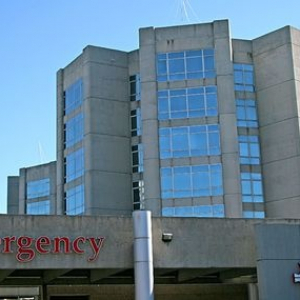 With the ever changing security issues and concerns due to the increased violence, often times we have found that internal staff does not have the experience and background to know where to look for all security related risks in one of the hospitals most critical asset, the Emergency department. If your organization feels that there may be room for improvement with regards to security practices and staffing in the E.D., now is the time to conduct a full and unbiased security review, not after a serious security incident occurs. An independent healthcare security consultant can bring extensive resources to the table to identify vulnerabilities and risks regarding behavioral health patient security, and they will not be biased or judgmental. In healthcare security, it is best to look for a security consultant with years of experience working in healthcare security in a management position. The reason for this is you want someone that will understand the complexities of healthcare settings and your organization’s mission and purpose. Another thing to consider is a security consultant that is a Certified Healthcare Protection Administrator (CHPA). Also look for a security consultant that is Board Certified in Security Management as a Certified Protection Professional (CPP). These certifications are awarded to professionals with a very high level of experience, education and knowledge of the security management practices and healthcare security management. If you are ready to assess your risks regarding the behavioral health patients, and reduce your risks in your emergency room, please contact us today. Our Board Certified Security Expert will work with your organization to identify your risks and vulnerabilities. We will assist you with developing a plan and putting into place measures to meet or exceed existing laws, standards, and requirements, reduce your risks and liability exposure, and help you to keep your patients, visitors, and staff safe. Our principal consultant is one of a few professional and independent security consultants that have both certifications. Make sure that when you retain a security consultant that they are qualified to perform the service and have the background needed to truly understand healthcare. Experience, training and professional certifications are a true measurement of qualifications.